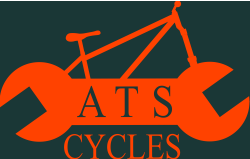 ATS CYCLES is a mobile and workshop based bicycle mechanic service based in Cheshire, specialising in cycle ﻿﻿﻿servicing﻿﻿﻿ and ﻿﻿﻿﻿repairs﻿﻿﻿﻿​ . ATS CYCLES offer you the option to have your bike collected from your home or place of work and returned to you directly for your convenience. Morning, afternoon and evening collection is available. ATS CYCLES have qualified Mountain Biking Instructors available for coaching and guiding. ATS CYCLES are able to offer high quality customer care, great customer service and is much more convenient than a standard bike shop. ATS Cycles collection and drop off service is avalable for all repairs over £10. Please note: Price of collection and drop off services varies due to location. Below is a quick guide of location prices for drop off and collection. Our collection and drop off service operates all over the North West so if your area is not stated, please just ask. Say Hello or ask ATS CYCLES a question?